Ananda Sangha Europa What Is Kriya Yoga? Kriya Yoga is an advanced technique for spiritual evolution that comes down from higher ages of spiritual enlightenment. Part of the ancient science of Raja Yoga, it is referred to by Patanjali in his Yoga Sutras, and by Sri Krishna in the Bhagavad Gita. While the actual Kriya technique can be revealed only to initiates, its purpose and basic nature have been described by both Yogananda and Kriyananda in their respective autobiographies, in chapters dedicated to this subject. The knowledge of Kriya became obscured during the dark age of materialism, known in India as Kali Yuga. It was revived by the immortal Indian master, Babaji, when, in 1861, he taught it to Shyama Charan Lahiri of Benares, who then developed the Kriya principles into a specific series of meditation and pranayama practices. Lahiri Mahasaya taught this science to thousands of disciples, most of them family people who, like he, maintained their worldly responsibilities while at the same time practicing Kriya. The Kriya technique has been transmitted through the same sacred initiation ceremony that was performed by Babaji for Lahiri Mahasaya, and has been passed down through the disciples of Lahiri Mahasaya and onward through their disciples to succeeding generations. Paramhansa Yogananda is a direct spiritual descendant of Babaji and Lahiri Mahasaya. His guru, Swami Sri Yukteswar Giri, was one of Lahiri Mahasaya’s most advanced disciples. In 1920 Yogananda was instructed by his gurus to bring the practices of Kriya and the knowledge of the eternal, universal truths (known in India as Sanatan Dharma) to the Western world. 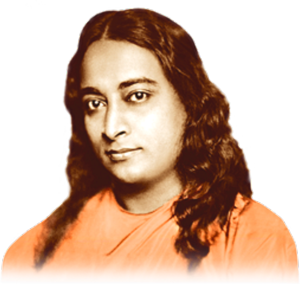 From then until his passing in 1952, Yogananda lived in the United States, where he initiated tens of thousands of sincere seekers in Kriya, inspiring them to dedicate their lives to the pursuit of God-realization. Whereas in India the guidelines for living a spiritual, “yogic” life are well known, in the West Yogananda had to educate people about such things as proper diet, right attitudes, balanced living which harmonizes body, mind and soul; developing willpower and self-discipline; and how to transcend physical and emotional attachments. These “how-to-live” teachings have become an essential part of the path of Kriya Yoga and are a necessary requisite to learning the technique of Kriya Yoga, in the same way that the yamas and niyamas of Patanjali are necessary steps towards the higher levels of Raja Yoga. Yogananda’s teachings thus put the technique of Kriya Yoga into the wider context of a yogic lifestyle. Educational centers and communities based on this lifestyle have been developed in the United States, Europe and India by Yogananda’s direct disciple, Swami Kriyananda. Paramhansa Yogananda also authorized a number of his close disciples to give the initiation on his behalf. Some of these disciples were part of his monastic order, while others were householders, in the Kriya tradition of Lahiri Mahasaya. When Swami Kriyananda had been with Yogananda for less than one year, the Master placed him in charge of the monks and authorized him to give Kriya initiation. During the remaining years of Yoganandaji’s life, Kriyananda often gave the initiation. After Yoganandaji’s passing, Kriyananda was sent around the world to speak about Self-realization and give initiation into Kriya. After founding Ananda in 1968, Kriyananda continued to train devotees in the teachings of Self-realization, helping them to prepare for and receive Kriya, each student according to his own capacities and pace. In recent years Kriyananda has authorized some members of the Ananda Sangha to give Kriya initiation in Yogananda’s name. 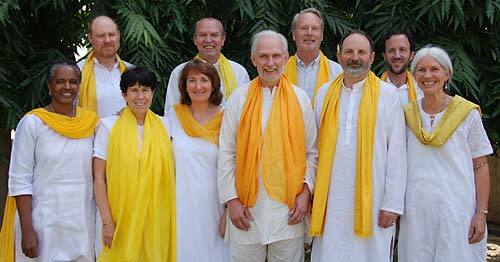 There are currently more than twenty Ananda “Kriyacharyas” who give initiations throughout the world.